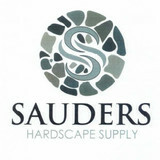 DRS Lawn & Landscape was established in 1991. We are a full service landscaping, lawn maintenance, and snow removal firm located in Long Valley Northwestern New Jersey. DRS Lawn and Landscaping provides complete residential and commercial lawn, landscaping, hardscaping and snow removal services in Tewksbury NJ, Long Valley NJ, Oldwick, NJ and the surrounding tri-state area of New Jersey, New York and Pennsylvania. During the past 16 years, we have provided landscaping services to numerous commercial and residential properties in these areas. DRS is experienced in every aspect of the landscape industry – Lawn Installations, Paver Walkways and Patios, Retaining Walls (modular or decorative), Plant Installation, Landscape Bed Maintenance, Field Mowing, Drainage, and Spring and Fall Cleanups in the Long Valley, Tewksbury NJ area, along with countless other services. 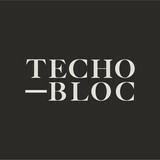 View our portfolio. DRS Lawn & Landscape is a proud member of the New Jersey Landscape Contractors Association. We have the experience, equipment and personnel to offer you professional grounds maintenance, landscaping services and snow removal in Tewksbury NJ and surrounding areas. If you are looking to upgrade your landscape and make your home truly stand out, give us a call today at (908) 879-0600 or click the "Contact Me" button to send us a message. We look forward to working with you! *Belgard Authorized Contractor* Global Contracting is a family owned and operated business creating custom outdoor living spaces for over 40 years. We specialize in pavingstone hardscape for residential and commercial clients. Is it time you spruced up your outdoor living spaces? Creative Allentown pavers, masonry contractors and stone suppliers can help. Professionals specializing in hardscape such as walkways, patios and retaining walls will work with you to design, plan, install and even fix your exterior and interior home projects. Read further to learn how to best find and work with Allentown, PA stone, brick, paver and concrete contractors. From installing new exterior columns to repairing your chimney, masonry contractors can help you add both visual appeal and value to your property. They’ll know what kind of installation makes the most sense for your Allentown, PA climate and regional style. Looking for something that will develop a patina with time? Or would you rather have your home feel brand new for years to come? Choosing the right kind of stone involves thinking about the future, too. Experienced brick suppliers and stone suppliers can help you find the material that will work for your home now and for years to come. These professionals aren’t limited to exterior work either. Whether you want a split-stone granite wall in the kitchen or need help installing traditional brick masonry on your fireplace facade, you’ll want a professional to get it right. If you’re already working with an architect or designer, he or she may be able to suggest a good Allentown, PA subcontractor to help out. Here are some related professionals and vendors to complement the work of stone, pavers & concrete: Landscape Architects & Landscape Designers, Architects & Building Designers, Garden & Landscape Supplies, Driveways & Paving, Siding & Exteriors. Find stone, paver and concrete professionals on Houzz. 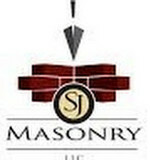 Search the Houzz Professionals section for Allentown, PA stone, paver and concrete professionals. Browse photos and read reviews, and contact a pro if you like their work.